ARTICLE 19, together with six human rights and freedom of expression organisations, has written to UK Foreign Secretary Jeremy Hunt, US Secretary of State Mike Pompeo, and French Minister of Europe and Foreign Affairs Jean-Yves Le Drian, urging them not to enable Saudi Arabia to whitewash the possible involvement of the highest levels of the Saudi government in the murder of journalist Jamal Khashoggi, and not to maintain secrecy around what could be a sham trial. 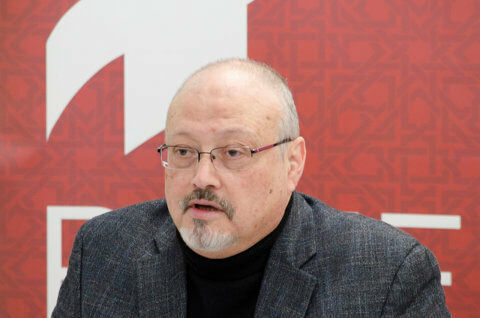 It has come to our attention that government representatives of France, the United Kingdom and the United States, along with Russia and China, are among those attending the trial in Riyadh of 11 suspects charged in the October 2, 2018 murder of Saudi journalist Jamal Khashoggi at the Saudi consulate in Istanbul. The trial sessions held so far have been closed to the media and the identity of those on trial, as well as the charges they face, have not been disclosed. Other than attendance of diplomats, Saudi officials have not permitted independent monitoring of the proceedings. This is grounds for serious concern. Human rights organizations and the media have long documented severe inadequacies plaguing the Saudi criminal justice system, including long periods of detention without charge or trial, lack of access to legal counsel during investigation, use of vague and uncodified charges that do not resemble recognizable crimes, and pressure on detainees to sign confessions and accept predetermined prison sentences to avoid prolonged arbitrary detention. This lack of independence, transparency, and fairness has meant that the Saudi criminal justice system falls well below international human rights standards. Our concerns are magnified given the authorities are seeking the death penalty for at least five of the defendants. The brutal murder of Mr. Khashoggi, a prominent commentator for the Washington Post newspaper and critic of the Saudi leadership, by Saudi government operatives has received a great deal of international attention and has sparked outrage around the world. Serious criminal cases such as murder should be held in public, and it is crucial that the public be informed in detail about the court proceedings. Providing access to information about the proceedings would enable some scrutiny of the fairness of the trial, and contribute to the public’s right to know matters of grave public importance and compliance with international human rights standards. In addition to reinforcing the fair trial rights of the accused persons and to guard against potential scapegoating of some individuals, transparency around the trial can work to guarantee that the court proceedings do not cover up the alleged involvement of the Saudi leadership. Any express or tacit agreement to maintain secrecy about the proceedings would be contrary to international fair trial standards, which provide for public hearings with the exclusion of the press and public only in exceptional circumstances. It would also undermine public condemnations of the murder and commitments to ensure accountability that were made by several of the governments attending the trial. We therefore urge the UK government to report to the public in detail about the trial proceedings so far based on your representatives’ observations. The UK government should also press the Saudi leadership to allow observers to attend the proceedings from the UN Office of the High Commissioner for Human Rights, international human rights groups, and international media organizations. UN special rapporteur on extrajudicial, summary or arbitrary killings, Agnès Callamard, in a press release issued on March 28, 2019, said the closed-door proceedings “contravene international human rights law according to which the right to a fair trial involves the right to a public hearing.” She also denounced the lack of transparency in the investigation and called on the Saudi government to make the trial open to the public. Concerned governments should take the necessary steps to ensure that they do not provide cover for what could be a sham trial. Doing so would also run the risk of enabling authorities in Riyadh to find a set of individuals guilty, without due process, while whitewashing the possible involvement of the highest levels of the Saudi government. In the interest of credible justice for Mr. Khashoggi and his family, and demonstrating the international community’s resolve in holding governments fully accountable for brutal crimes, we urge the UK government to do all that is necessary to help bring much-needed transparency to the proceedings. The organizations below stand ready to discuss this further with you. We look forward to your response.